1 1. Check out what comes up on BuzzSumo. 2 2. Use a longtail keyword tool like UberSuggest. 4 4. Check Reddit and Quora to see what kind of questions people are asking. 5 Ideas are out there. All you have to do is find them. 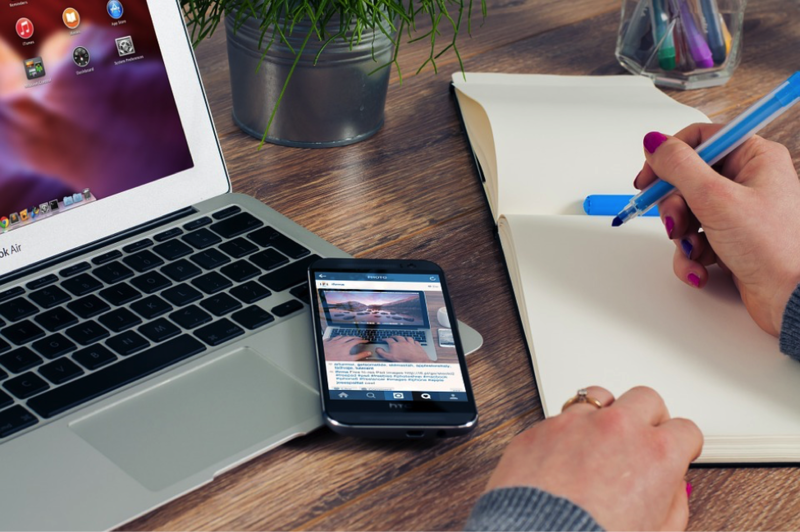 It’s no secret that great blog content is a lynchpin of inbound marketing, and today, almost every business has a blog that they update regularly. But when you’re putting out epic content on a regular basis for a long period of time, you can run into a problem: you’ve already used up all of your best ideas. Between keyword research and your own real world experience, you started off with tons of fruitful blog post ideas. But eventually, you’ll find yourself running through the cream of the crop. This is more of a problem in some industries than others. It’s something you run into with a lot of “unsexy” service industries, like moving companies or HVAC repair services. When you’ve already covered the obvious topics with engaging, SEO friendly blog posts that cover things in detail, you can hit a bit of a dead end. If you’re hard up for new content ideas, these simple “hacks” can help you refuel your creativity and spark a “lightbulb moment” that gets the ball rolling again. 1. Check out what comes up on BuzzSumo. BuzzSumo is an online service that shows you the top performing content for various search queries. It gives you a peek at what kind of content your competitors are putting out, and at what kind of content gets the most engagement and social shares. This shows you what kind of content is doing well in that particular niche. From topics, to target audiences, to headline structure, there’s a lot of information you can glean from BuzzSumo. 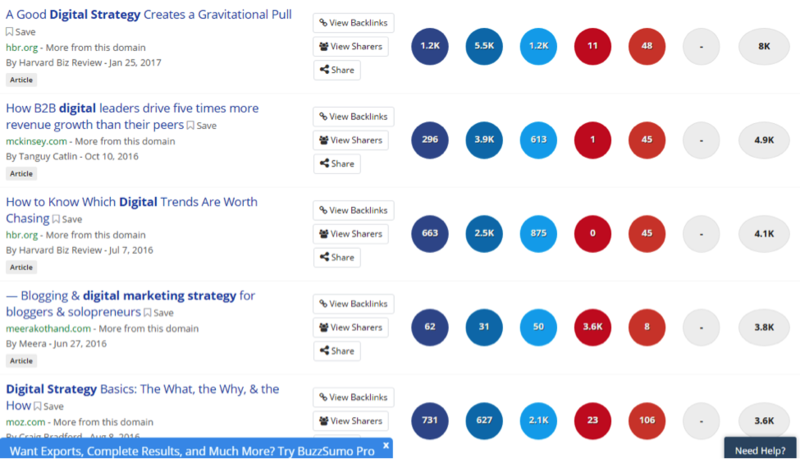 This is just a limited selection of what BuzzSumo can offer. Although they have a free 30-day trial, and you can see a few top results for free any time, it is a paid service. However, something like this could be worth the investment. 2. Use a longtail keyword tool like UberSuggest. There are a handful of great online keyword research tools that are designed to help you find unique, interesting longtail keywords. These are search queries that consist of several words, and that don’t get a super-high search volume. These can be easy to target, without nearly as much competition as broader “head” keywords. Tools like Ubersuggest are useful for SEO, but they’re also a great way to find new content ideas. There are several tools like this out there, but we’re spotlighting Ubersuggest because it’s one of the best. Plus, it generates a nifty word cloud for each search, which shows which words tend to occur in the same queries as your main keyword. This can help you pinpoint related ideas and concepts, sparking new ideas for content that your audience would like. 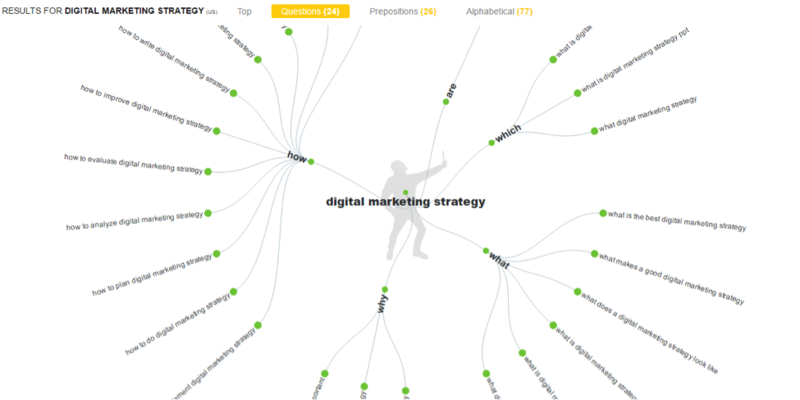 Here’s what comes up for “digital marketing strategy” on Ubersuggest. This is just the top of the list. 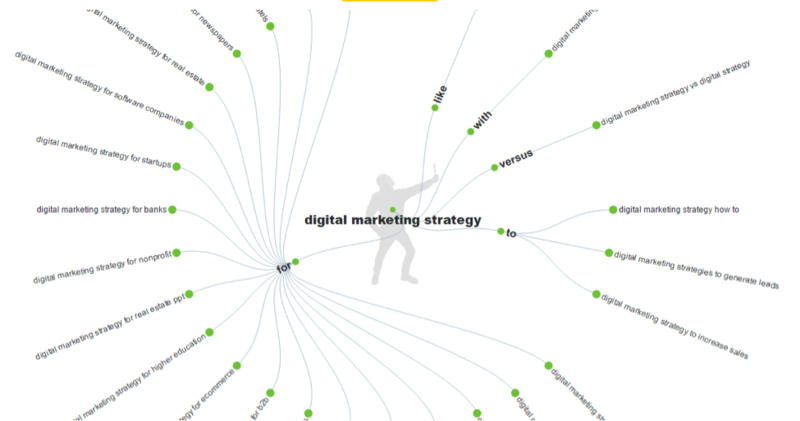 UberSuggest found 192 total keywords. But even this tiny snippet from their search results provides some interesting information. You can see that people search for things like “digital marketing strategy template,” “digital marketing strategy implementation and practice,” and “digital marketing strategy framework.” This suggests that people are looking for actual techniques and substantial, actionable advice that they can implement themselves. 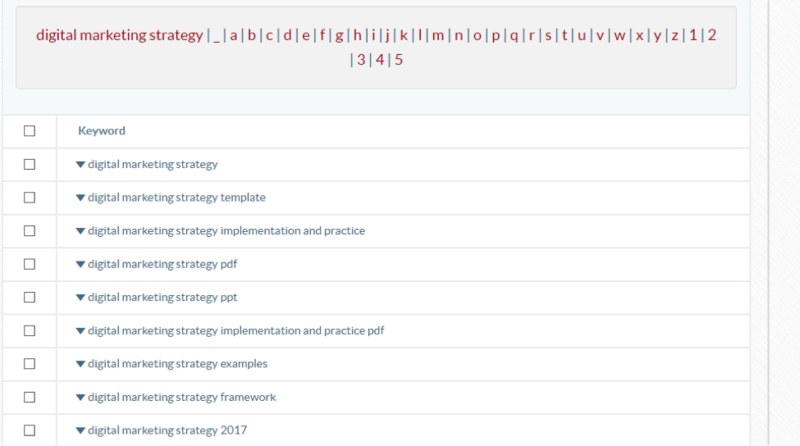 You can also see that people are looking specifically for “digital marketing strategy pdf.” They’re looking for Powerpoint presentations (“ppt”) as well. You could create a whitepaper or ebook about strategy that’s available in PDF format, or create a powerpoint slideshow about it. 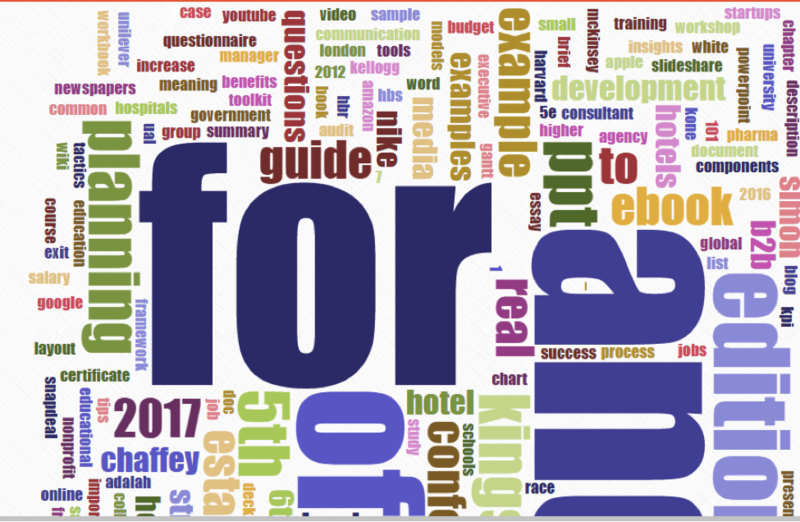 We mentioned that Ubersuggest also generates a word cloud. These are actually pretty massive, but here’s a screencap of part of it. Pretty cool to look at, right? And if you look closely, you can find valuable information. You can see words like “newspapers,” “hospitals,” “government,” “schools,” and “hotel.” This implies that people are looking for digital marketing strategies specifically tailored for certain industries. As an example, you could create a comprehensive longform blog post about digital marketing strategies that work specifically for hotels. Ubersuggest’s meaty longtail keyword results are full of blog post ideas, based on things your audience is actively searching for. This can be a great way to help yourself brainstorm when your well of creativity starts to run dry. Other longtail keyword research tools include keywordtool.io, keyword.io, and the humorously named KeywordS*****r.
Like Ubersuggest and similar online tools, Answer the Public is a free resource for finding longtail keywords. We’re discussing this separately because Answer the Public takes a unique approach that sets it apart. This tool focuses on two types of queries: those in the form of a question, and those that contain a preposition. It’s for finding who questions, how questions, why questions, and more. It gives you a glimpse into what kind of questions your audience is asking, which is fertile ground for new post ideas. Not only does Answer the Public provide a list of results, but it also generates two highly intuitive graphical representations. One is for queries in the form of a question. The other is for queries that contain a preposition. Pretty cool, right? These visualizations are easily digestible, showing you what types of questions are common for your query. Each question can act as a writing prompt, seeding an entire blog post. 4. Check Reddit and Quora to see what kind of questions people are asking. Reddit is one of the world’s most widely used social media platforms, with a structure similar to old-school forums. There’s a subreddit for just about anything you can think of, and with a little Googling, you can find active communities relevant to your company’s product or service. People use subreddits to ask questions and hold discussions. Reddit posts and comments can give you valuable insights into your audience, and you can find questions and concerns you might not have known about before. Quora is another website that can provide this kind of information. It’s kind of like a higher quality version of Yahoo! Answers (which is still around, but less valuable than Quora or Reddit). People ask all kinds of questions here, and in many cases, they get answers from real experts. Quora’s also a great opportunity for you to get yourself or your company out there by participating in the community and actively answering questions. Ideas are out there. All you have to do is find them. Eventually, we all hit a wall when it comes to good blog post ideas. Once you’ve covered the obvious, you have to get creative. These free resources can all help you spark the ideas you need to take your content marketing strategy to the next level.